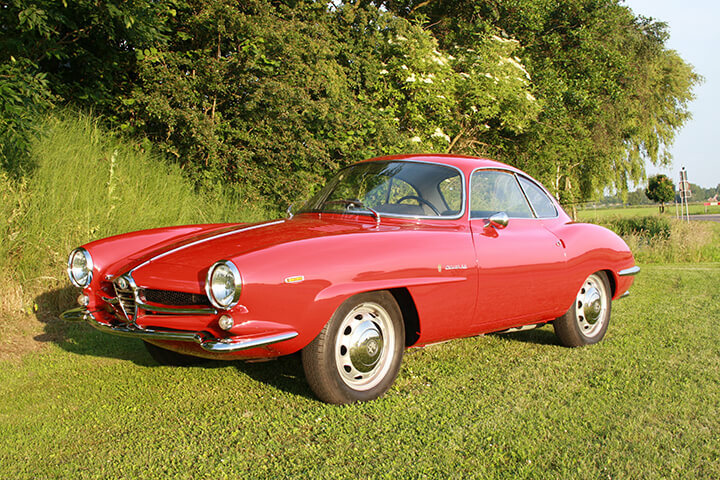 This beautiful Alfa Romeo Giulia Sprint Speciale (SS), build in 1965, in brilliant red over black interior which is one of only 140 of all cars known to exist today. 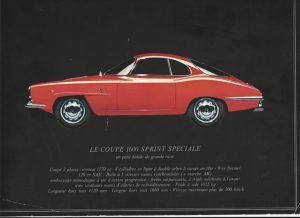 This car is the last coupé (Chassis No. AR 381.401) designed by Giuseppe “Nuncio” Bertone & Franco Scaglione with 2 doors and a front mounted engine which transmits its power to the rear wheels. 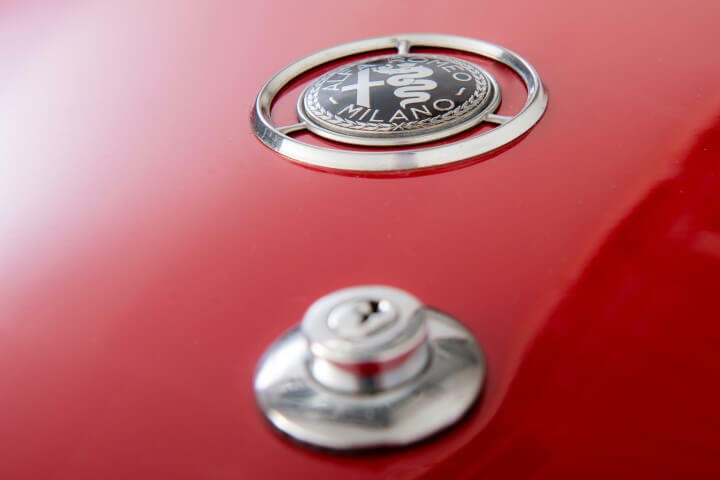 From the desk of Marco Fazio, Alfa Romeo historian, the chassis number AR 381401 originally corresponds to an Alfa Romeo Giulia Sprint Speciale (101.21), manufactured on the 17th September 1965 and sold on the 23rd November 1965 in Milan, Italy. To be exact, it was the last frame of the series and the last engine of the production of the Giulia Sprint Speciale. This car was sold by “Luzzago 1975 Srl” in Bressia, Italy (http://www.luzzago.com) and transported to The Netherlands on the 27th September 1996. This car has been in my possession since 1 November 1997 and has been garaged and driven only rarely in the Netherlands till April 2001. The car is Alfa Racing red with either its original interior or a very high quality restoration prior to my purchase of it. It has a 1570CC original engine (AR00112*15918) installed. The Bertone designed Sprint Speciale version of the Giulietta first appeared in 1957. With stream-lined bodywork it was reckoned to be an absolutely sensational looking. It marked a strong resemblance to the famed, legendary Italian marque’s earlier competition designs, particularly the Dicso Volante sports-racer and the Berlina Aeordinamica Tecnica. Giulia “Sprint Speciale” was created by Giuseppe “Nuncio” Bertone & Franco Scaglione after meeting in 1957. The first Giulia SS prototype was unveiled at the annual Torino, Italy Auto Show that same year, followed by the first production car introduced in June of 1959. 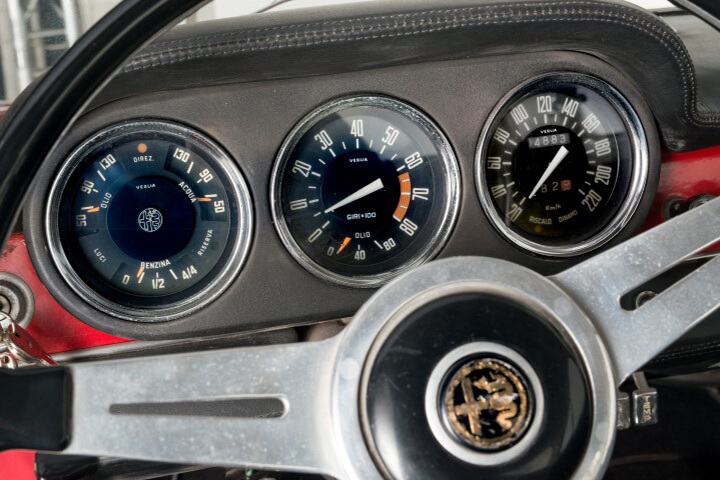 The Giulia Sprint Speciale was originally outfitted with Alfa’s 750 series 1,300 cc. DOHC. 4 cylinder engine and 5 speed transmission. The Giulietta’s successor the Giulia is of the later, improved SS and unveiled in 1963 as the “Giulia Sprint Speciale” or Spinta, meaning, “pushed” or “super tuned.”These cars were designed as a “spin off” of the radical BAT Series cars. The 101-series engine featured a larger 1570-cc engine, a twin Weber Carburetor setup, producing 126-bhp at 6,500-rpm, a disc/drum brake system, a five speed gearbox, and were fitted with front disc-brakes. The Sprint Speciale became the vehicle to have with the extra engine capacity and slippery aerodynamic shape providing effortless high-speed cruising. It was considered as enjoyable to drive as they are to look at. The Alfa engine and gearboxes have proved reliable and long-lived. It’s powered courtesy of a naturally aspirated engine of 1.6 litre capacity with dual overhead cam. This unit features double overhead camshaft valve gear, 4 cylinder layout with dual Weber DC03 carburetors, and 2 valves per cylinder. It has an output of 110 bhp (112 PS/82 kW) of power at 6500 rpm, and maximum torque of 133 N·m (98 lb·ft/13.6 kgm) at 4200 rpm. The engine supplies its power through to the wheels via a 5 speed manual transmission, independent front suspension with unequal-length A-arms and coil springs, live axle with coil springs rear suspension, and hydraulic front and rear drum brakes. Wheelbase: 2,350mm (92.5inches).The quoted kerb weight is 950 kg. Maximum speed claimed is 200 km/h, which is 124 mph. The Alfa Romeo Giulia Sprint Speciale and Alfa Romeo Giulietta Sprint Speciale (both Tipo 101-Series models) also known as the Giulia SS are elegant small sports cars manufactured by Alfa Romeo from 1959 to 1966. 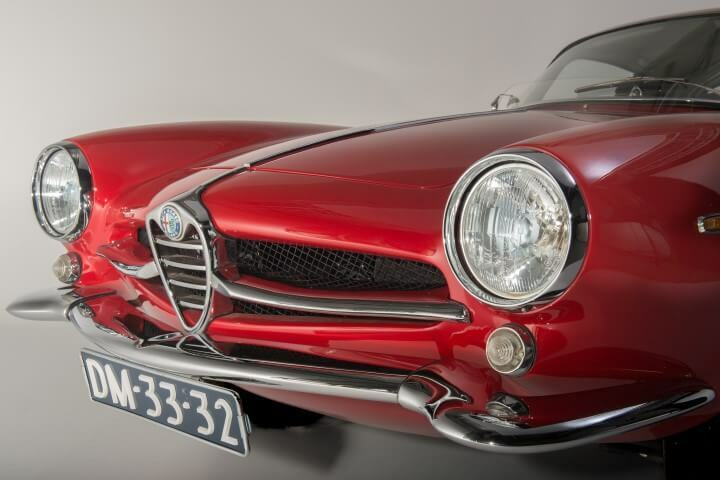 The first prototype of the Giulietta SS was presented in 1957 at the Turin Motor Show. After two more prototypes were presented in car shows, the official presentation of the production version for the press was on 24 June 1959 on the Monza race track. The bigger engined, 1.6-liter Giulia series replaced the Giulietta and was introduced in March 1963 Auto Salon Geneva. “Giulietta” means “little Giulia” in Italian, Giulia was therefore simply a wordplay, claiming the new car was a grown-up version of the Giulietta. 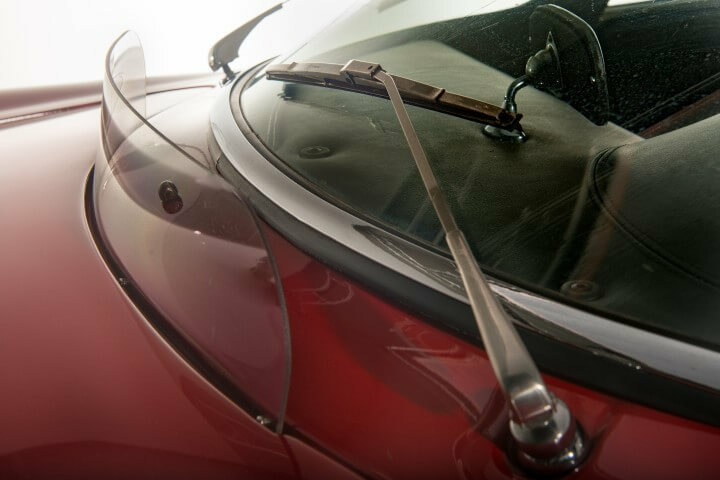 The Giulia has a leather underside with the glovebox at a different angle than the main fascia. 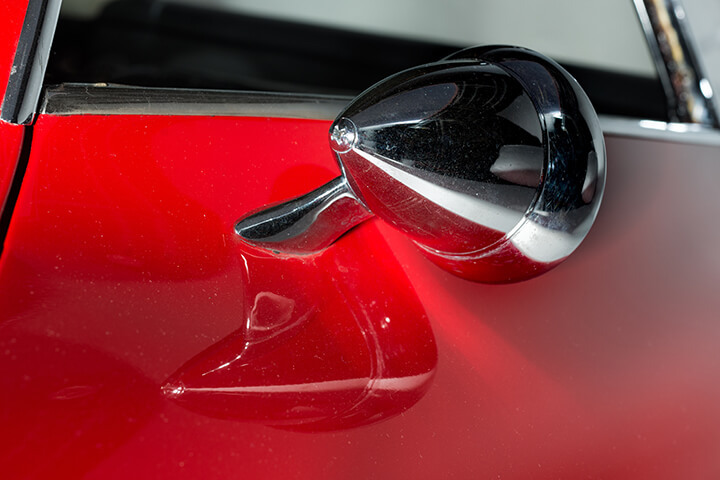 The dashboard in the Giulietta is sloping and painted in one colour without a leather underside. 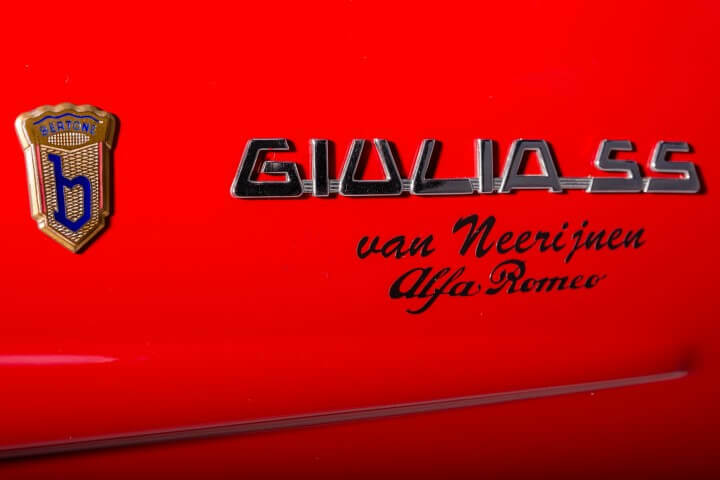 Side badges had “Giulia SS” script. Production ended in 1966. The body was designed by Bertone and an evolution of their three very famous 1900 Berlinetta Aerodynamica Technicha “BAT” styling exercise vehicles of the mid 1950s with a fair amount of influences from the Alfa Romeo Disco Volante racers of the same period thrown in for good measure. Both the Giulietta and the Giulia used the Alfa Romeo Twin-Cam engine, a design with hemispheric combustion chambers and valves controlled directly by twin overhead camshafts. The Sprint Speciale was a real race car to compete with the Porsche 356. It has a front engine with rear wheel drive. The drag coefficient of the Sprint Speciale is 0.28, the same as a Corvette C6, and was not improved upon for more than 20 years. With the 1300cc engine maximum speed was well above 100 mph (160 km/h) The 1600cc engine made up to 129 mph (208 km/h) possible. The 1300cc engine and gearbox was the same as used in race-oriented Giulietta Sprint Zagato. The 1600cc engine was taken from Giulia Sprint Veloce. An easy way to distinguish the Giulia SS from the Giulietta SS is by the dashboard. The Giulia has a leather underside with the glovebox at a different angle than the main fascia. The dashboard in the Giulietta is sloping and painted in one colour without a leather underside. 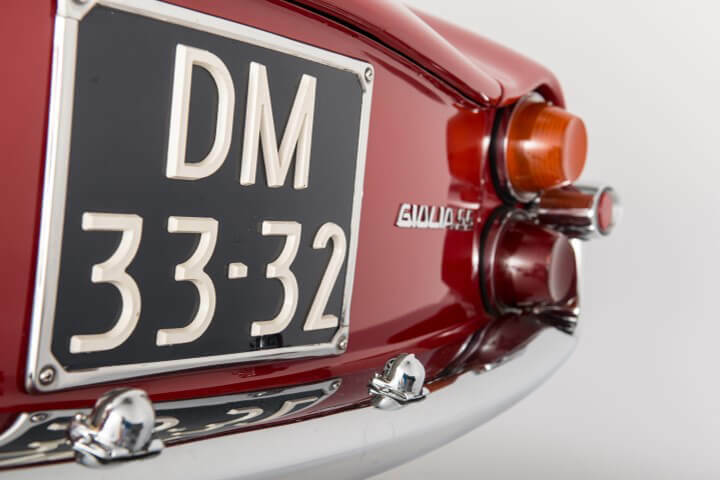 Only 1,366 Giulietta Sprint Speciale and 1,400 Giulia Sprint Speciale were produced.